A Boston-based bank is offering a debit card that takes 1 percent of all purchases and directs it toward paying down college debt, rather than bankrolling a vacation. Banks offer free airline tickets, hotel stays, and shopping discounts through their rewards programs. And earning up to 1.5 percent cash back on purchases is a standard perk of credit card companies. Now, one local bank is offering a debit card that takes 1 percent of all purchases and directs it toward paying down college debt, rather than bankrolling a vacation. Boston-based Radius Bank on Tuesday launched a partnership with Gradifi Inc., a technology startup that manages student loan repayment benefits for companies. They’re hoping to lure millennial customers and earn their good will by tackling one of the biggest financial issues facing that generation. “We understand that student debt is a problem. We’re happy to participate to help consumers pay down that debt,” said Mike Butler, the bank’s chief executive. 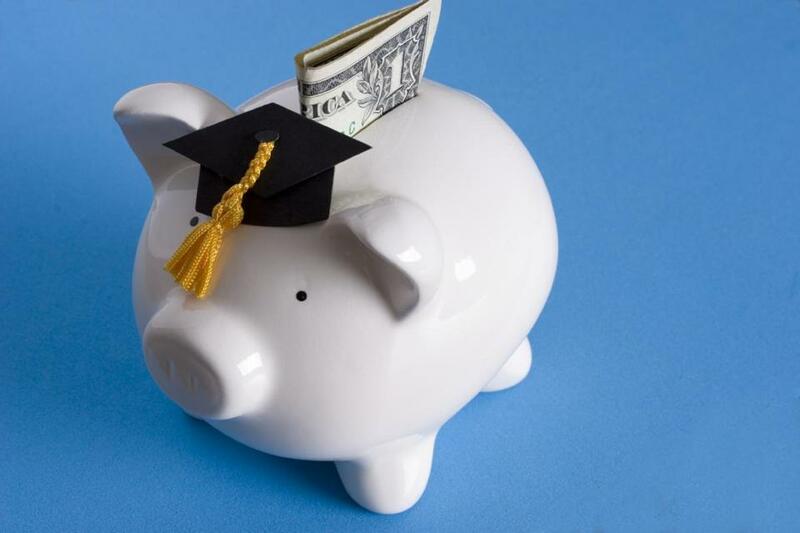 The partnership follows Gradifi’s announcement earlier this month that it had struck a deal with Providence-based Citizens Financial Group Inc. to promote the bank’s student loan refinancing program to employees enrolled in the benefit plan at work. Gradifi customers who refinance with Citizens also earn $300 over six months toward loan repayment. Under the rewards program, Gradifi participants will have to open a free checking account with Radius and get a debit card. Every purchase using the debit card earns the user 1 percent, which goes directly to paying off student loans. There is no limit on how much customers can earn. Still, with the average student loan debt load at about $30,000, that means lots of trips to the grocery store and debit card swipes to earn enough to chip away at that balance. Student loan debt repayment as an employee benefit, on par with a 401(k) match, has recently gained traction as the labor market tightens and companies compete to attract and keep younger workers, many of whom are saddled with thousands of dollars in college loans. The Department of Education pegs outstanding student loan debt at $1.2 trillion. In the spring of 2015, only 3 percent of companies helped workers reduce their student loan debt, according to a survey by the Society for Human Resource Management, a Virginia-based trade group. But several large financial and consulting firms have since rolled out programs to help workers reduce their student loan debt, including Boston-based Fidelity Investments, Natixis Global Asset Management, a Boston-based unit of the French financial firm Natixis, and PricewaterhouseCoopers, the global auditing and consulting firm. The companies have structured their programs to meet their own needs and budgets, but they essentially provide a monthly contribution that is paid directly to the student loan company. Natixis, for example, is contributing a maximum of $10,000 toward federal student loans for employees who have worked there at least five years. The programs are popular with workers. Within a few weeks of launching its program this past spring, Fidelity had 5,000 workers enrolled in its loan repayment plan. And DeMello said Gradifi, which offers employers the technology to make the payments, is managing $150 million in student loans a week, as new customers sign up. And banks are eager to piggyback on these programs. Citizens Financial, with $140 billion in assets, offers refinancing options so borrowers can consolidate student loans and reduce interest payments. Student loans have been among the fastest growing consumer loans for Citizens, and the portfolio has nearly doubled in the last two years, from $2.3 billion in 2014 to $4.4 billion last year. Social Finance Inc., or SoFi, a Silicon Valley online lender that specializes in student loan refinancing, has worked with more than 400 companies that want to help their employees restructure student loan debt. 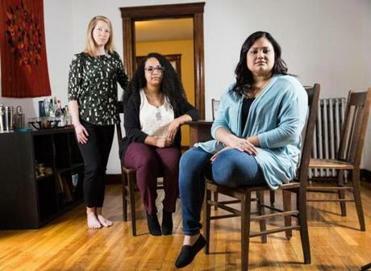 By making student loan repayments less onerous, banks believe they can make young people more willing to take on other debt, such as a home mortgage. Citizens estimates that, on average, refinancing a student loan can save borrowers $137 per month lowering the interest rate by 1.5 percent. By working with student loan employee benefits programs, banks get access to low-risk, younger customers because the companies offering the benefits tend to be white-collar finance and consulting firms. “We love the profile of people who are paying down debt,” said Butler, with Radius Bank. The bank, with $800 million in assets, is also trying to focus more on virtual banking and luring younger, tech-savvy customers. Meanwhile, Fidelity Investments on Tuesday launched a new online tool to help borrowers map out their student loans and repayment options. Think of it as the reverse of a retirement savings calculator that Fidelity deploys to encourage consumers to put money into their 401(k) plans and watch it grow. The student debt calculator helps borrowers understand how much they have borrowed, with interest, how long it will take to pay off the loan, and how their debt load would change if they refinanced or changed their monthly payments. “It’s a paydown calculator, instead of a save up calculator,” said Sean Belka, the head of Fidelity Labs, which is piloting the free tool. Many consumers don’t know how much they owe in different loans and what they’re really paying over several years, Belka said. Fidelity has no plans to enter the student loan lending space, but if consumers find the calculators and site helpful, the company might consider marketing the technology in some form, company officials said. Borrowers can plug in information about their loan amounts, interest rates, and monthly payments and find out what their total repayment will be and how long they’ll have to carry the loan. The calculator also offers options, such as where a consumer could put an extra $100 per month to save in the long run. John Zurick, the executive vice president of American Student Assistance, a Boston-based nonprofit that counsels borrowers, said he welcomes these private efforts, but said more systemic changes are also needed to ensure that people can afford a college education.